So you want to learn how to play bass? Can you name one song where the bass line is composed of a sequential series of notes that belong to a scale of some sort? So why then do most bass teachers start off teaching bassists how to play scales and arpeggios? And then two octave scales and two octave arpeggios? It’s simple – learn bass lines to songs. 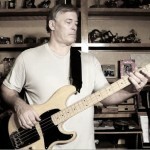 After all, that’s what bass players are called upon to do in the real world – play songs. And the majority of problems you’ll encounter in the real world will be related to playing songs, not scales. And there’s another important part of the learning songs vs. scales equation that you need to consider – learning songs is like a gazillion times more enjoyable than learning scales. And if you’re enjoying something you’re much more likely to make a regular habit of it – regular practice on your bass is another crucial ingredient in improving your ability level. But surely you can't improve just by learning songs? If you pick songs at random to learn then your learning will be random, and it’s possible that you won’t make regular progress.. If, however, you learn songs in a specific sequence designed to get progressively harder with each song then you can take great strides in your bass playing ability. Before I discovered Paul’s website I was getting pretty good at playing scales and arpeggios using another website. Problem was, I played for almost 1 year and I didn’t know any songs. I actually learned how to play a song all the way through the first day I started learning with Paul. After only 6 weeks I already know how to play 9 songs, and I am getting auditions to play with other musicians. This website exists to help Beginners and Intermediate Bass Players get better. Period. If you dive into the website you’ll find a bunch of song tutorials, you’ll find basic technique lessons, and you’ll find articles too. What’s really cool is that this comprehensive collection of song tutorials and other information is free. I have courses that you may like to buy to increase your knowledge and abilities on the bass, but the Free Material will always be FREE. 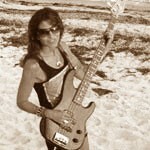 So why are you waiting – learn a song on your bass NOW! The easiest way to get started is to subscribe to the free How-To-Play-Bass Members Area using the big red button below, and you’ll have access to ta number of free tutorials almost instantaneously. Every tuesday there is a ‘Vanishing Tutorial.’ That’s a bass tutorial that goes live on a tuesday and then ‘vanishes’ the following tuesday and is replaced by another. There are a number of songs permanently in the free members area. You want to learn how to play songs, I teach songs. Being a member is the best way of keeping in the ‘learning songs’ loop. 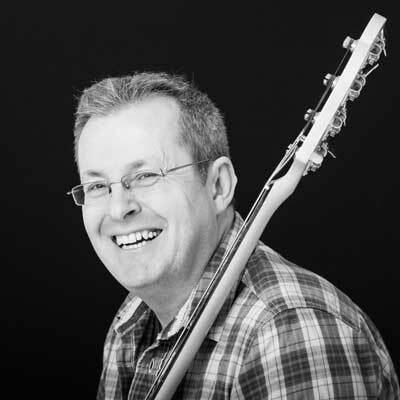 As soon as I discovered Paul Wolfe’s website and his approach I knew he was the right teacher for me…My playing with other musicians has improved in just a few months. And I feel confident I will only play better in months to come! Here’s to success on your bass playing journey.